Since my last post, a few readers have expressed curiosity about the “implants” I briefly touched upon. Wheatgrass implants. Yes indeed. We all know how remarkable wheatgrass juice is for our health, and many of us are even drinking it. Among its other many benefits, wheatgrass juice strengthens our cells, detoxifies our liver and organs, fights tumors, restores alkalinity to the blood and neutralizes toxins. It has even been known to help reverse gray hair back to ones natural hair color. Wheatgrass is extremely high in chlorophyll, iron, oxygen, and many vitamins thus providing our bodies with concentrated nutrients in an easy-to-digest form. Wheatgrass is commonly taken by mouth in the form of juice, but did you know that one can greatly benefit when taken as an implant? In fact, when taken the opposite end, the implant is an exceptionally powerful method of cleansing and nourishing the colon walls. Bypassing the stomach, the wheatgrass juice immediately replenishes the body with electrolytes and minerals via the hemorrhoidal vein - a direct route to the liver and bloodstream. Since it travels directly to the liver and is absorbed into the blood stream, wheatgrass implants are essential to quickly restoring ones health. Implants (also called retention enemas) are best taken after an enema or colonic, with an enema bag or a child’s bulb syringe. It consists of approximately 4-8 ozs. of juice held in the lower bowel for about 20 minutes or as long as you can retain it. More than one attempt may be required in one sitting to achieve retention, often each successive implant removing further waste matter. 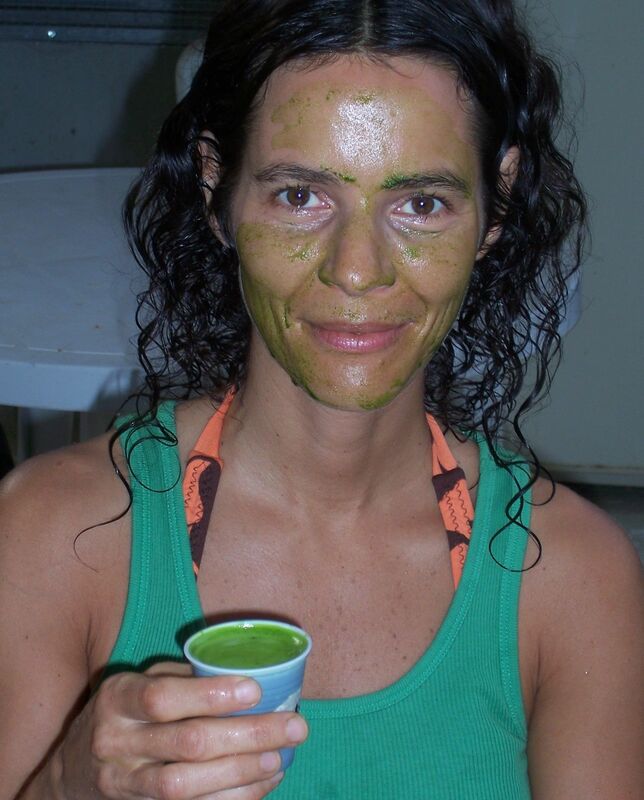 When first taking an implant, be sure to have a towel beneath you as the green juice can end up everywhere. And I mean everywhere. Also, do not to take implants too late in the day as the grass can have a very stimulating effect on the body and keep you wide awake and up throughout night! On a different green note, has anyone tried Butterfly Sky Garden’s superb microgreens now available at local health food stores?